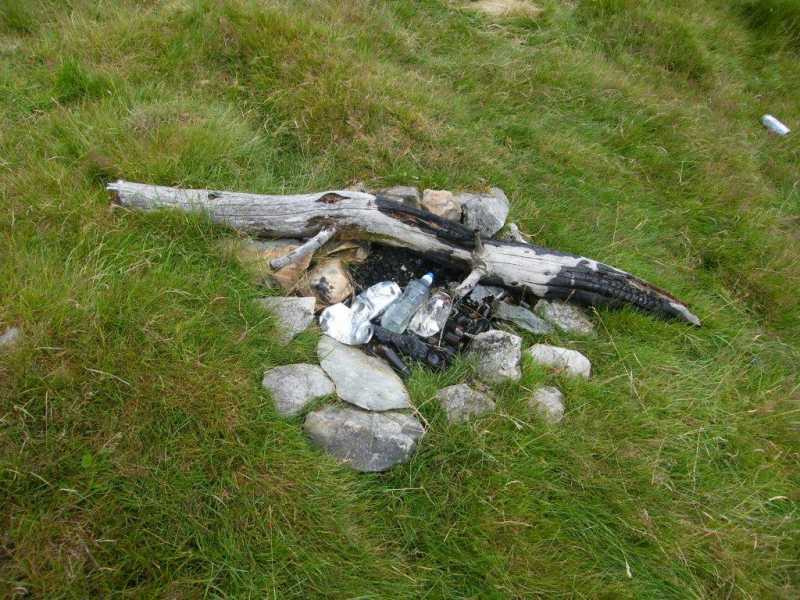 Picture from paddyhillsbagger : Camp fire remains at summit. Picture: Camp fire remains at summit. Must be an easier way. I had to laugh when I looked at the tracks on the site and compared it to my own from O2276 0476 A. If I were to upload it there would be three tracks all of which reached the summit but took an unnecessary detour to the west. I wasn't laughing while I was there admittedly, but don't look back in anger, they seem to say. I think the reason for this detour is the track marked on the east-west map, which most observers will expect to provide some route towards the summit, but which does not. 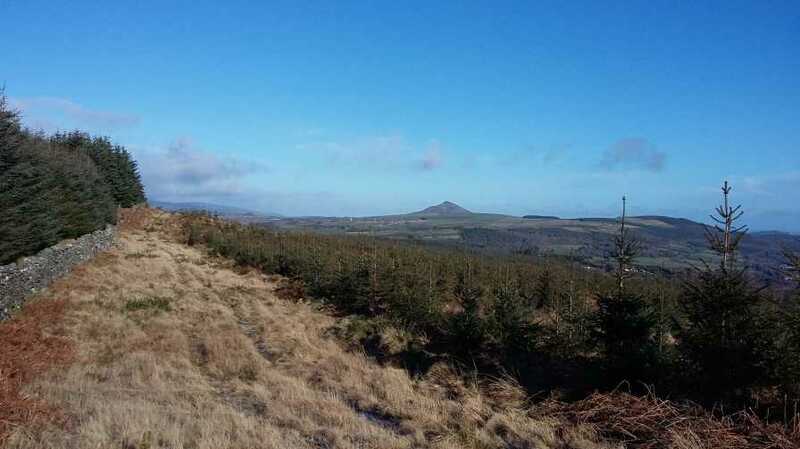 It is more like an overgrown forest ride with thick gorse, and leads you onto the west side of the forestry from which any access route back towards the summit is heavily overgrown or completely blocked (by said forestry). 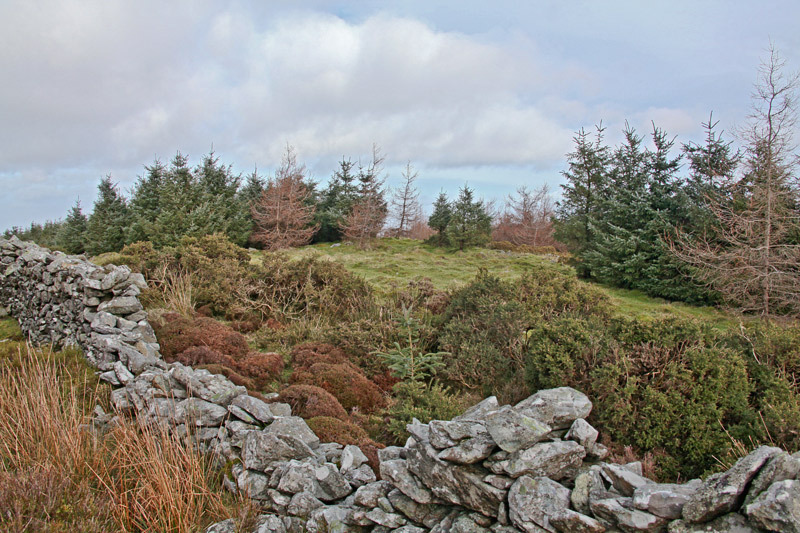 The key to accessing the summit is the wall which is only very faintly shown on the East-West Mapping Wicklow Mountains East map. You'll need your spectacles to spot it. It travels roughly from north to south, dissecting the summit, with thick forestry on both sides of it, preventing access from the east or west. The wall obviously pre-dated the plantation. The 2-3 metres either side of the wall are as good a track as you'll find to this summit.